Tickets began selling on Oct. 28th on Gmarket.com. 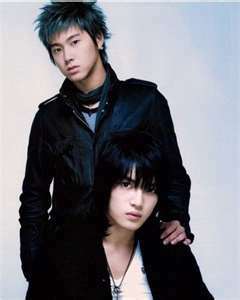 TVXQ Yunho and Jaejoong should really reach out to each other, they have a powerful love. KEEP THE FAITH JAEJOONG AND YUNHO. 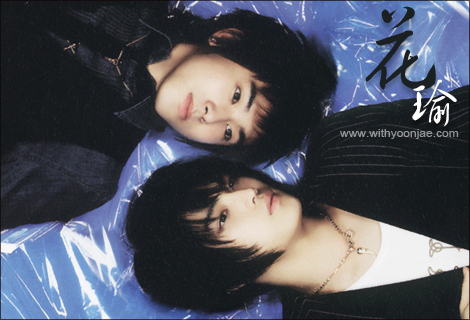 Jaejoong and Yunho are 2 hearts that love and miss each other deeply. Two hearts are always better. Keep The Faith that TVXQ 5 members will be back together soon. Jaejoong, Yunho, Yoochun, Changmin and Junsu. 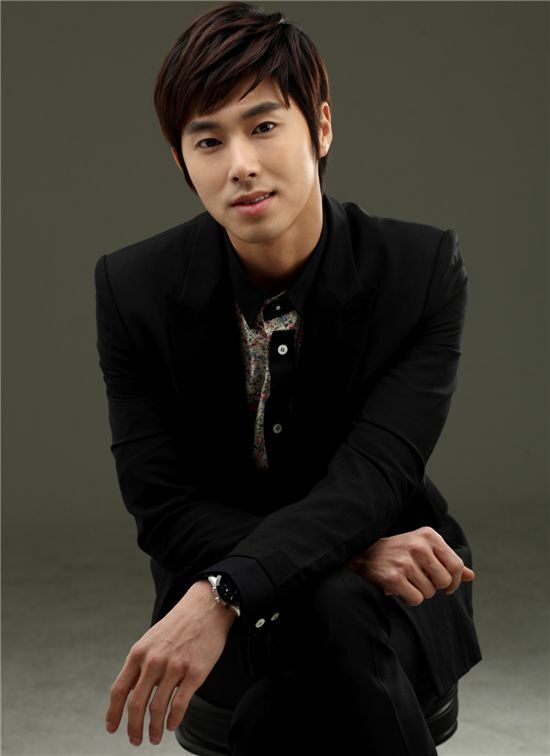 TVXQ’s Hearthrob Yunho turns 26 (the real age) on February 6, 2012; however, in Korea they count an extra year which is 27. Yunho was born Jung Yunho in South Korea and he has a younger sister Jung Ji Hye. 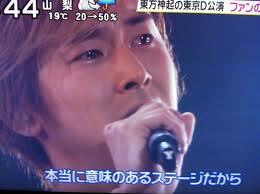 Although, his stage name is U-Know but he’s simply known as Yunho. Unfortunately, this is going on the third year that Yunho and Jaejoong have not been in contact with each other. This cannot be a very happy birthday for either of them. Their hearts must be breaking for each other. So sad, there wasn’t a public birthday wish from Yunho to Jaejoong. However,there was a birthday wish from Jaejoong to Yunho last year but later deleted. It really doesn’t make any sense why these two are not together. Year 2012 must be the year for them to reunite. Jaejoong celebrated his birthday on January 26, 2012 on which he received lots of love from his fans around the world just as Yunho did. JYJ, finally have a Facebook page for their millions of fans. 5 Star Hollywood Hunk Of The Year 2011, singer, songwriter, model, and actor Jaejoong tweeted on Thursday January 5, 2012 that “JYJ Facebook is born”. S.M. Entertainment created TVXQ’s (Yunho and Changmin) a Facebook page, it was only a matter of time for JYJ to have one as well. Next should be an official YouTube Channel just like TVXQ (Yunho and Changmin). What’s next for Yunho and Changmin should be Twitter accounts. 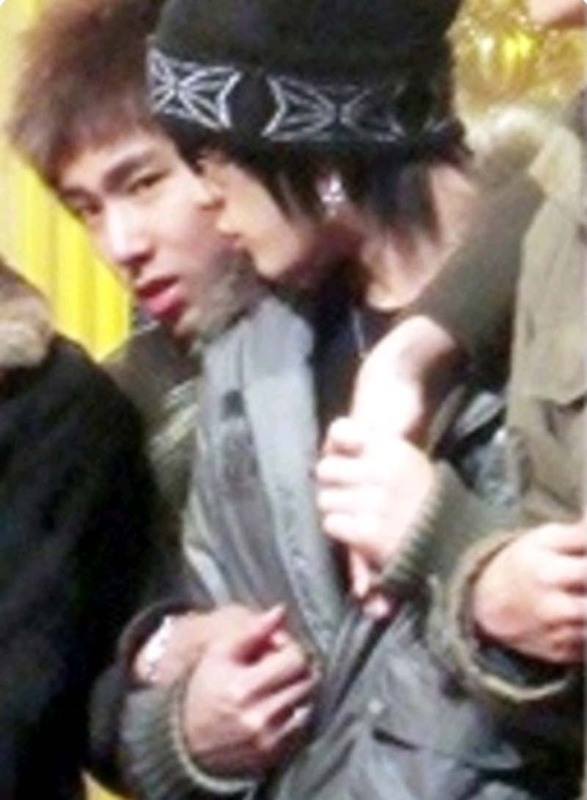 Then Yunho and Jaejoong could re-unite. Social networks are one of the main reasons why JYJ have increased popularity, all three members Jaejoong, Yoochun, and Junsu have Twitter accounts and communicate with their fans. JYJ’s company C-Jes have created one the biggest social networks, this is only going to increase their popularity even more so and they deserve to gain more fans. They are so talented. In a short time, JYJ have over 30,000 Facebook likes. What makes JYJ’s Facebook so cool is that the Korean language is translated in the English language. They’ll definetly will gain more fans who are fluent or understand the English language. Here’s the first post:안녕하세요. JYJ의 공식 Facebook이 오픈하였습니다. 월드와이드 스타 JYJ의 활동소식은 물론, 비하인드 스토리까지! 공식홈페이지에서 만나보지 못한 신선한 컨텐츠들을 만날 수 있는 공간! JYJ의 Official Facebook 많이 찾아 주세요! ^^ Hello, JYJ Official Facebook page is now open! This page will provide JYJ’s news and their behind stories that you haven’t seen on official website. 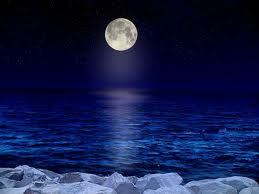 You are always more than welcome to visit this page. Thank you! C-Jes didn’t waste anytime by providing information on JYJ’s South American tour dates: JYJ의 남미투어소식!! 다들 들으셨나요? 2011-12 JYJ World Tour의 마지막을 장식하기 위해 올 3월 칠레와 페루에서 공연을 가질 예정입니다. 북미투어, 유럽투어 때 보여주신 남미팬들의 열정에 보답하는 기회인 것 같아 JYJ 본인들도 무척 설레인다고 하네요. ‘좋아요’ 클릭으로 응원해주세요! Good News!! JYJ will be performing in South America! 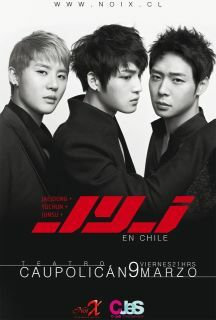 The concerts in Chile and Peru will be the last concerts for 2011-12 JYJ World Tour. JYJ said that it would be a great opportunity to repay for the passion which South America fans showed before. sooo thumbs up if you like this news? South America Tour Information below *March 9, TEATRO CAUPOLICAN, Santiago, Chile *March 11, ExPlanada Sur(Explanada Sur del Estadio Monumental), Lima, Peru. JYJ are working on their next album for 2012. JYJ fisrt full album was all in English “The Beginning” and their second full album was in Korean / English “In Heaven”. 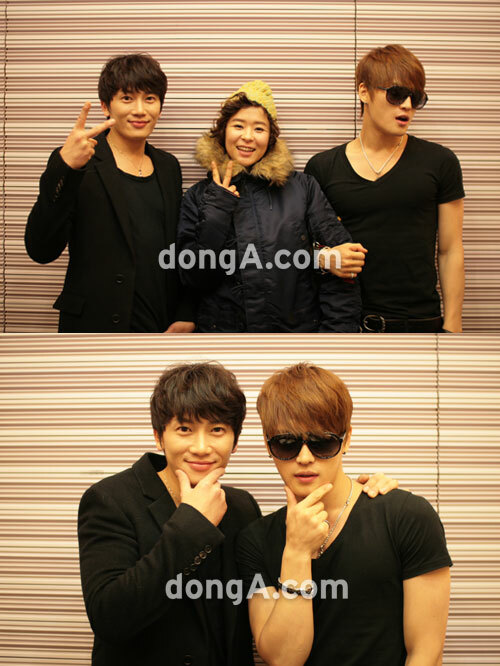 According to numerous of media reports, Jaejoong (JYJ) will be on KBS radio program “Choi Kang Hee’s Night Flight” on December 25, 2011. Fans may receive a great Christmas gift by seeing and hearing from the 5 Star Hollywood Hunk Of The Year 2011 Nominee. When JYJ presented a lawsuit against S.M.Entertainment in 2009, Jaejoong, Yoochun, and Junsu formed their side group “JYJ” in order to continue to do music. However, as a result of the lawsuit, JYJ was unable to perform or be seen doing music for any network in Asia. KBS is by far the most popular network around the world. This news with Jaejoong appearing on the KBS radio show will be a major breakthrough for JYJ. In 2012, fans should be able to see JYJ perform on national television and not be canceled since the Korean Fair Trade Commission found S. M. Entertainment guilty of blocking JYJ’s public appearances on TV and radio which S.M. may be fined 5 figures, pretty close to $90,000 U.S. dollars. According to All K Pop via Reporter Lee Sang Ho, S.M. Enteratinment may face $500,000 to $800,000 fine that will add up for a year. However, this amount would not be enough. S.M. Entertainment has put JYJ through mental stress. It’s ridiculous that JYJ could not perform on TV and radio for 2 years. S.M. Entertainment is not being penalized enough, if they could influence major networks not to have JYJ on any program to do music for their fans then they are “guilty” of interfering with Jaejoong and Yunho reuniting. It doesn’t make any sense why these two are apart and have not spoken nor seen each other in 2 years. S.M. Entertainment should be fined for keeping Changmin, Yoochun, Junsu; especially Jaejoong and Yunho from communicating. S.M. Entertainment is being unfair and unprofessional. Finally, JYJ has won some justice but they still need to be compensated, they’ve lost not only money but lost precious time away from Yunho and Changmin. S. M. stop interfering and let them reunite. Note: Take a look at the latest photo of Jaejoong above, he really has been working out! 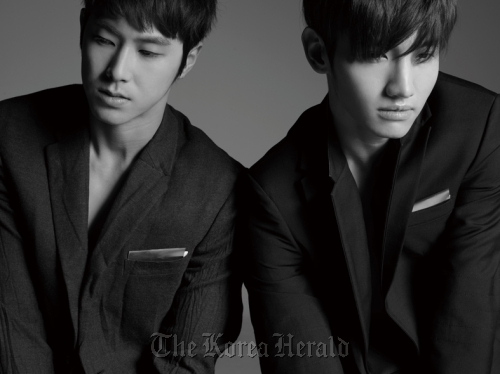 Yunho and Changmin (TVXQ) will be in Shanghai on Friday December 9, 2011. The fan meeting will be held at the Mercedez-benz Arena. Please read the information below and watch Yunho and Changmin message to their fans. DongBangShinKi 2011 “Why” Shanghai Fan Meeting will be held in Mercedez-benz Arena on Dec.9.The founding members of the group are Yunho (leader), Changmin, Jaejoong, Yoochun and Junsu. In July 2009, the latter three filed for an injunction against their Korean agency SM Entertainment. This led to TVXQ ceasing all public activities and appearances as a five member group in Korea and Japan after 2009. After approximately a year on hiatus, TVXQ returned as a duo consisting of Yunho and Changmin with the release of their Korean pop album Keep Your Head Down on January 5, 2011, and the release of their Japanese single “(Keep Your Head Down)” under Avex Trax on January 26, 2011. Their full-length Japanese album TONE was released on September 28, 2011, selling 205,000 copies in its first week. 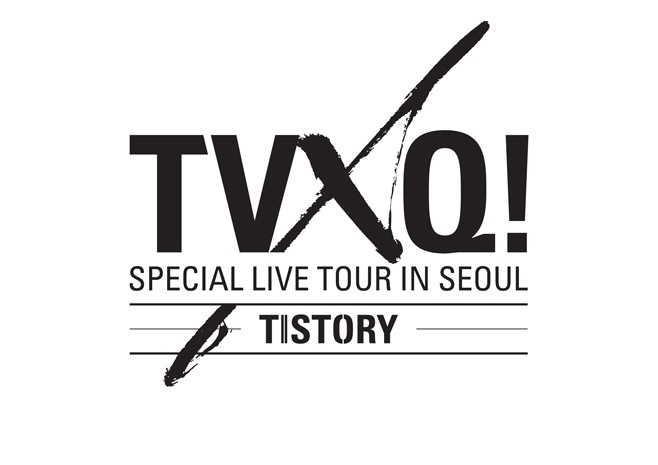 TVXQ is currently preparing for their TONE ~ TVXQ Live Tour 2012 in Japan, where they will hold a total of 14 shows throughout nine cities for three months starting January 2012. Price:280 480 680 880(Grandstand ticket) 880(Infield Ticket) Tips:880rmb is divided into grandstand ticket and infield ticket. You can choose the one you like. This ticket can only be delivered in the Shanghai area. After the order is confirmed over the phone, the validity of ticket is ensured. (We will cancel your order if we cannot contact you within 48 hours of the time of purchase) Delivery covers the inside Pu Xi inner ring and the Lujiazui Pu Dong free of charge. Delivery to other regions is subject to additional fees. Tickets ordered in other provinces and cities than Shanghai can be delivered by mail or other means. Attention: (1) Price, time and place of delivery of the ticket are determined by phone confirmation; (2) Only costs within RMB 100Yuan are covered by the free delivery. Extras beyond the covered amount will be charged . Yunho and Changmin performed at the first ever Billboard KPop Masters Concert in Las Vegas, Nevada at the MGM Grand Garden Arena on Friday November 25, 2011. Besides Yunho and Changmin giving a great performance, they spoke English to the KPop fans in Vegas. There are several links to the videos of their performance and with the duo speaking English. So click on and Enjoy! Yunho and Changmin of TVXQ are in Las Vegas for the 2011 Billboard K-Pop Masters to perform along other music acts. They arrived in style, dressed like models. JYJ’s Jaejoong, Yoochun, Junsu should have been invited to this concert event. Why are they not invited? I know they are not allowed to perform on TV in Korea; however, Las Vegas is NOT Korea. JYJ should be allowed to share the stage alongside the other K-Pop artists. The five guys should NOT be apart, all they have to do is find a record label to buy them out of their screwed up contract and reunite. Billboard is having their first K-Pop Masters Concert in Las Vegas in November 25 and November 26, 2011 at the Grand Garden Arena. The duo TVXQ (Yunho and Changmin) are the top billed names that will be performing including SISTAR, BEAST, 4MINUTE, BROWN EYED GIRLS, MBLAQ, and G.NA on November 25th and 26th, however, SHINee will perform on November 26. Once again, JYJ isn’t going to be at the Billboard’s first ever K-Pop concert. JYJ was not at the New York Korea Festival this year. Another event where JYJ and TVXQ will not be together. Korea Broadcasting Service (KBS) is hosting this free concert event, the New York Korea Festival is celebrating the 20th Anniversary of Korea for introducing Korean culture through music. The list of K-Pop artists that will be performing is as follows: SHINee, 2PM, 4Minute, Sistar, Beast, and TVXQ (Yunho and Changmin). New York Korea Festival official website list TVXQ as Dong Bang Shin Ki which is the other name as well, however, the duo TVXQ doesn’t use that name. Dong Bang Shin Ki was used when the group was five. It doesn’t seem that JYJ of TVXQ is going to be there. Their names have not been mentioned. Was JYJ invited and can’t make it or they were not invited? It would have been great to see JYJ and the duo TVXQ reunite for those two days. Finally, the legendary group The Village People will be performing as well. The K-Pop concert will not be held in New York this year, instead, it will be held in New Jersey due to the trouble of getting permits in New York. However, it should be a big turnout. The New York Korea Festival Two-Day Free Concert is hosted by Hwang Soo Kyung and Hyori Lee and it will be held Sunday October 9, 2011 and it starts at 6:00 PM at Overpeck County Park in New Jersey.